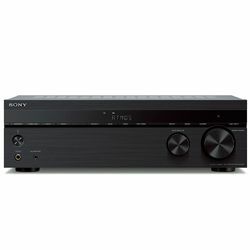 As I like enjoying a good sound and “juicy” image, I have started my acquaintance with one of the most famous modern receivers – Sony STRDH590. Of course, affordable price, high-quality assembly, and great functionality were the main factors to me. I thought that I was looking for too much, but to my surprise, I found the STRDH590. 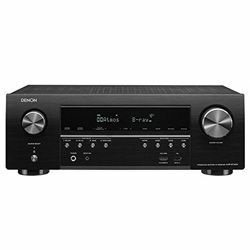 It has a 5.2 Ch x 145W per channel (6 Ohms, 1kHz, 1ch THD 0.9%) and supports 4K HDR, Dolby Vision compatibility with HDCP 2.2. 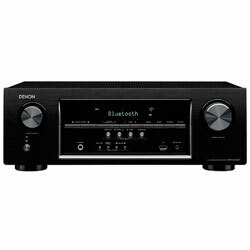 Thanks to the Pure Direct thumbtack on the front side the sound goes precisely to the receiver’s amplifier. The design of the creation is strict and minimalistic. What does it mean? On the front side, there is no great amount of huge buttons, outputs, and inputs. Most of them are hidden at the back and I enjoyed the laconic view of small and very neat knobs at the front side, which didn’t spoil the whole picture. Thanks to the low-profile design the STRDH590 fits easily into the ordinary AV cabinet. 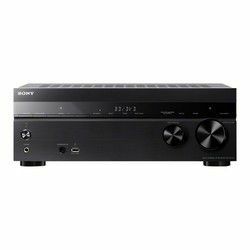 The receiver weighs 18.25 pounds, so I can’t name it as one of the lightest gadgets in the world, but the weight is not a problem, because a small size (19.1 x 13.6 x 6.9 inches) will allow putting it anywhere in the room. I want to mention one more interesting thing: the reinforced frame and beam chassis design helped mitigate the external speaker sound strain. Thus, listening to the hardest music ever became more comfortable for my ears and I love it! 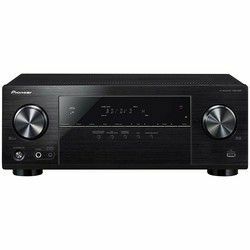 After a short Sony STRDH590 review, I found out the absence of Wi-Fi. That is not a tragedy because the device supports Bluetooth. I not only enjoyed the music from my devices and game systems but had an opportunity to control it with the help of a smartphone. By the way, there was no need for me to turn on the receiver because it started to function automatically after connecting to the phone. 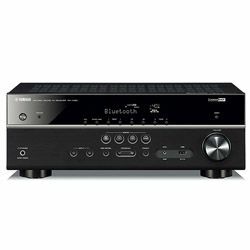 The device can’t work with an Apple AirPlay and it doesn’t support a three-zone capability, but these disadvantages are overwhelmed by mentioned advantages and the presence of 30 preset FM stations, A-B speaker switch, ARC, and ASR technologies. 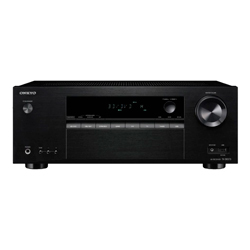 Built-in clock and sleep timer became traditional features of modern receivers and all of them work without lags and other problems. I’ve got a feeling that an on-screen GUI menu is incomplete. I couldn’t use it to adjust all the settings of the Sony, so I had to pay my attention to the display panel menu. It was strange because today’s technological advances have to allow adjusting every setting that is available on the STRDH590. As the unit goes with 4K and HDR pass-through, the picture on my TV was gorgeous. Really, I haven’t seen something like this before! Deep colors together with the clear image and surrounded sound transformed the simple process of TV watching into a fascinating journey. The remote is small but comfortable for a hand. It’s easy to read all the buttons and switch between inputs. Very clear and easily understandable vocals really surprised me. All the tracks sounded more detailed and precise. My favorite songs got new “music colors and shades” so I was excited about the Sony STRDH590. 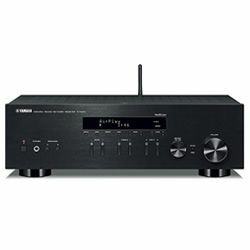 High-resolution audio is represented as great as possible. Music sounded great, but with some movies there were difficulties. I could hear explosions wonderfully, but couldn’t hear the actors speaking as clearly as I would have liked. Perhaps, I have to check my audio settings one more time, but that peculiarity made me a little bit upset. 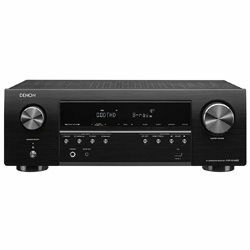 Thanks to the 4 HDMI, optical and digital coaxial, 4 analog audio inputs, and HDMI output I had an opportunity to connect all I want. The creators took care of users and such wide selection will procure all the requirements. The HDMI outs switch quickly and without any problems. When I tried to connect my subwoofer with old speaker wire, it didn’t work. Then I purchased a speaker wire to RCA adapter and the problem was solved. What I think I prefer the most – is that in place of having a gazillion wires transiting from my elements to my TV – they all run to the back of the unit and then a single output/HDMI runs to my TV! The setup process was easy. It took me a few minutes to remove my old receiver and hook everything up to the new one. After the first turning on, a GUI menu appeared on the TV screen. 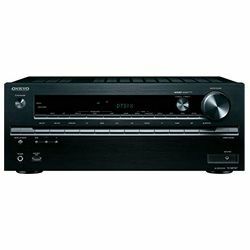 Then the receiver went through a quick setting by playing sounds through speakers and adjusting the output. After a few minutes, speakers were calibrated and the resultant sound was amazing! 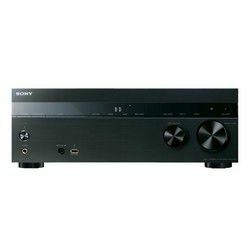 The Sony STRDH590 specs are wonderful, especially for those ones, who really want to have a reliable device with the great number of functions. 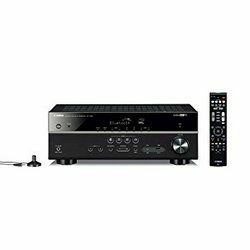 I can perceive supporting of 4K HDR, Dolby Vision compatibility with HDCP 2.2, compact design, low sound pressure, the Bluetooth supporting, 30 preset FM stations, ARC and ASR technologies, built-in clock, and sleep timer as positive features. At the same time, there were some features that made me a little bit disappointed. I’m talking about the absence of Wi-Fi, Apple AirPlay, and three-zone capability. Despite all the questionable points, the general impression of the receiver is great!